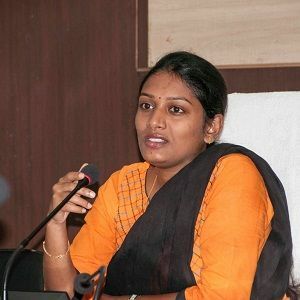 The Deputy Commissioner of Dibrugarh, Laya Madduri on Friday issued a letter to the Chairperson of Dibrugarh Municipal Board for removal of all the illegal hoardings under the Municipal area. The District Administration after noticing the reactions posted in social media alleging anomalies in connections with the illegal hoardings, has ordered the Dibrugarh Municipal Board on 21 August to enquire and remove all illegal hoardings and take lawful action against the guilty. The Deputy Commissioner has also instructed the Treasury officer to submit an audit report of the account of advertisement hoardings under the Dibrugarh Municipal Board immediately. It has been alleged that during Congress rule DMB, such unauthorized hoardings came up in Dibrugarh town but they didn’t take any action to pull down such illegal hoardings. In 2015, full majority DMB was formed by BJP but it seems that they did not take any step to pull down such illegal hoardings. According to a source, 75 percent of hoardings are illegal in Dibrugarh town and the DMB is not getting any revenue from it. Even the administration has not shown any interest in pulling down the illegal hoardings.